This week I have taken steps toward being more proactive in my actions, instead of just thinking about taking action, I do it. I recently moved into a new house where I am renting a room and I saw the need for a little tree trimming. I asked my new roommates if that was something our landlord would take care of and I received some doubtful looks. It was bothering me that this is the season for storms and the tree branches were hanging over the house and next to many (breakable) windows. So I went to the store, bought some loppers, came home and started trimming. It felt really good to get it done and I was proud of myself for just taking care of it and not relying on someone else to do it. I was being proactive. I also started biking to work every day. It is something I talked about for a few years now, but never did it. Luckily, I moved about a mile and a half from work, so it’s an easier accomplishment. Nevertheless, it still takes motivation and dedication to make a goal for yourself and actually do it! I feel proud of myself and it’s good for my health. Plus I’m saving money on gas and wear on my car. After work, when I have no plans, I’ll even bike an extra 5 or 6 miles so I can get a little more exercise and enjoy the beautiful weather. So many times, I think about things I want to do and never get around to doing them. I think about taking an amazing vacation, going back to school for writing or music, buying a kayak, etc. These are bigger things, but even the daily thoughts of going to the gym, playing my guitar, meditating, or calling a friend. We often think about things and then either get too lazy after we get home from work or procrastinate doing the things we really want to do for less important things like watching a favorite TV show. I’m not saying that TV is bad, but I am saying to find out what is actually important to you and go do it! Life is too short to spend it on a couch every day. Stop wishing so much and make your dreams a reality! Go out and explore the world, visit your friends and family, go on vacation, treat yourself to a hobby or a class. Live, be, and do! Relationships are tough. Whether it is a work relationship, a friendship, or an intimate relationship with a lover, you may find that you do not always operate on the same page or even the same frequency. I used to be a horrible communicator and someone that could not control my emotions; my emotions controlled me. Until I realized that I am the one in control and I don’t have to hide my emotions, but I can be in charge of them, as well as being in charge of my own actions. Growing up, I was the youngest, and felt constantly picked on my older siblings (3 older brothers and an older sister). I developed what some might call the “victim role”. I carried that role through my early twenties. I would often think “poor me”, “why do I always get the short end of the stick”, “I always finish last”, etc. These thoughts were very self-defeating. When someone offended me or cut me off in traffic, I skipped right past irritated and upset and immediately went into a rage mode. This was a very unhealthy way of living, with my emotions so extreme. Sometimes, I was super excited and hyper and then really sad and depressed, etc. Some psychologists try to label me bi-polar or depressed or abused or all of these things that gave them a way to deal with me and an excuse to prescribe me medicine and send me out the door. I never bought it for a moment. All I ever needed was someone to listen to what I was going through, to understand and relate, and to appreciate me for who I was, instead of trying to change me. I have dated a lot. I have gone through some pretty unhealthy and crazy relationships where I learned a lot of bad habits from others who also had emotional tendencies to get out of hand. In my late twenties I took a year off and tried to date again, but I wasn’t ready, so I took two years off. I took the time to get to know myself and better understand why I reacted the way I did and how I could change my reactions and try to be more objective instead. I have come a long way from my early twenties and I am really proud that I can be the master of my own mind, body, and soul. Sometimes, my mind still tries to play tricks on me, telling me things like “you’re not good enough” or “no one is ever going to love you” but I remind myself that these are only my insecurities and that I am worth it. I guess the biggest lesson I learned is that before I can have a healthy relationship with anyone else, I need to have a healthy relationship with myself. 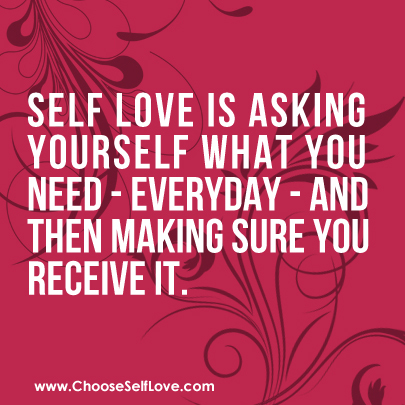 I need to treat myself with love and respect and be my own hero and protector. I can’t expect anyone else to do that for me. I want to love others because of who they are as individuals, not what they can do for me or how they can make me happy. I need to feel happy because of my own inner self, not any external factors. Many times the reason why people are fighting is because of their own ego. We all have the innate tendency to defend our own beliefs. Our fears bring out all of our insecurities and ugly lies that we tell ourselves. We become defensive, insecure, argumentative, and judgmental. So let’s take the time to be still and find our peace and inner balance so that our egos do not get in the way of our love. Love is the opposite of fear. Love is patient, understanding, a good listener, open-minded, and peaceful. 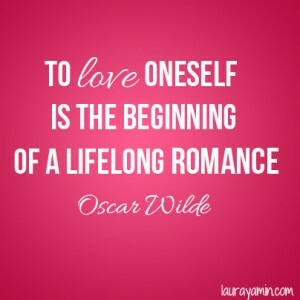 Let’s choose to love ourselves and love others…because we are worth it. Achieving your goals is one of life’s most rewarding experiences, whether they are small daily goals or bigger life-long goals. Sometimes it is easy to just live life in auto mode and go through life reacting to events, instead of choosing what you want to accomplish each day, month, or year. It’s almost like you are sleepwalking through your day until it is time to actually go to sleep. How much of your day do you allow to be controlled by external things, instead of by your conscious thoughts and choices? A good place to start with setting goals if you are not already doing so, is the how. How does one set goals that they can achieve? I took a class in college called Stress Management and one of the topics I learned about was goal setting. The elements of goal setting suggested in this handbook from class was: To be specific with the goals you want to achieve, measurable so that you can track your progress, attainable goals that you are able to achieve, realistic goals that are within your reach to put into practice, and finally time-oriented so you have an end date of when you want to achieve this goal. They called this acronym SMART for short. Even though this is a well-known method for setting goals, it was new to me and I would like to share it for those who may need a reminder and for those who also had never heard these simple suggestions that make a world of difference. Let’s start with S or Specific. By choosing a specific goal to work with, you are defining a clearer picture of that goal in terms that are defined. In my opinion, if you have a desire to do something, that is merely an idea; but by writing down specific details to that idea, this helps make that dream a reality. Secondly, let’s look at what M or Measurable means in this acronym. This is when you can keep track of your goal on a regular basis in order to show your progress. Variables within this section would be quantity, frequency, or duration, for example. Then, A or Attainable is as it sounds. You want to choose goals that you know you can reach. By setting smaller more achievable goals, you are more encouraged to keep going and excited for your progress. If goals are set too high, it would be very discouraging and more tempting to give up and quit. Next is for R or Realistic. 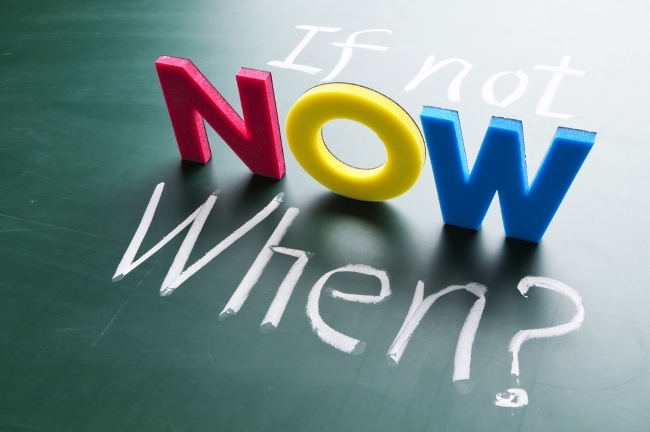 Are you setting goals within a reasonable time frame as well as something that is doable? It goes hand-in-hand with being Attainable. Finally, we get to T or Time-based. This is where you set a deadline for the goal of when you would it to be completed by. This way it is less tempting to procrastinate and can also help motivate you to go after it more if you are eager to have it done by a certain date or time. Now that you know the SMART guide for setting goals and objectives, let’s put it to practice. Let’s say that a vague goal of mine is to ride my bicycle longer distances. My SMART goal that I want to achieve may look like this: Next year, June 10-12, 2016, I will ride my bike in the MS 150 in Minnesota, from Duluth to the Twin Cities. This example is showing the date I will have this goal completed by, the distance I will be traveling on my bike (150 miles), and where it will be taking place. It answers the who, what, when, and where. Right now that goal may seem very lofty if I only ride my bicycle once or twice a week and go between 5-10 miles per trip. It may take time to build up to long distance trips. But I can also break this larger goal down into smaller more achievable goals. Maybe next weekend I will ride 15 miles each day. Then the following month, I will increase that mileage to 30 miles, and so on and so forth. You can apply SMART goals to your work or personal life. I used this method during my class to build my savings account, when I wasn’t previously very good at setting goals or saving money. I now set aside a specific amount each month into my savings in order to achieve my larger goal of having a set amount in my savings at all times. The most important thing here is to get real with what you want, stay dedicated, and know that you can get it. Believing in yourself may just take practice. After setting goals and accomplishing your smaller goals, you will start to realize how easy it can be to work your way up to a larger goal. I hope this information was helpful and that goal setting will become an effective skill in your life, as well. Remember, you can do great things!